On your big day entrance is free for you and you're also welcome for a drink in the bar. For those who are interested, we organise demo games daily. Please ask the details at reception. On Casino Grand Prix groups from 10 persons can enter and can try their luck in 3 different games: Roulette, Black Jack, Lucky wheel. Free entrance for those reserve a table in the restaurant. 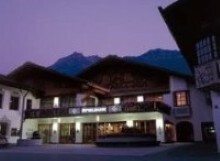 The chef of „Alpenhof“ restaurant offers Bavarian specialities and Haute Cuisine. In the bar refreshments and snacks are possible to buy. 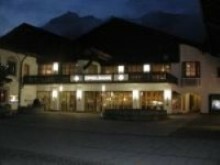 By car: you arrive to Garmisch-Partenkirchen on A95 and B2. 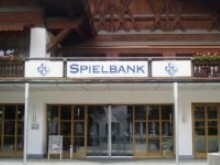 Locally just follow the Spielbank sign. Casino bus is simple an comfortable from Munich (HBF). Return ticket costs (incl. entrance fee for the casino): 7,50 Euros. - Munich Am Harras, leaving every 15 minutes from Plinganser St.